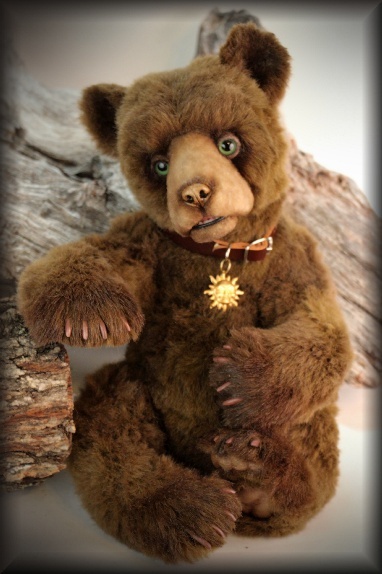 Dario, is a sweet little Brown Bear Cub, on all 4's, he is part of a series of Realistic styled Bears with lots of sweetness thrown in. 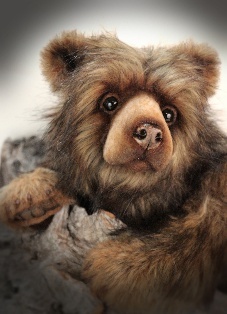 Sweet little Bear Cub Frankie is 16" tall. 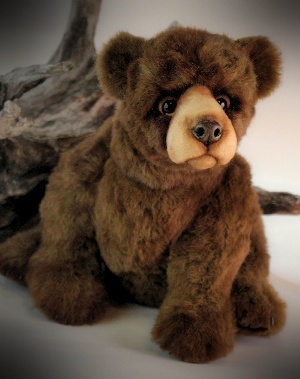 He is made from a one of a kind Custom Dyed and Distressed Brown colored Tissavel fur, he has armature in his arms, legs, back & neck for easy posing. 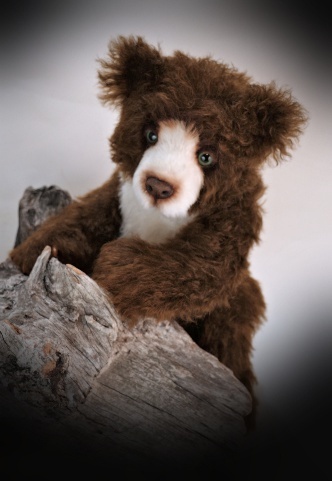 Frankie has a needle felted muzzle with air brushed accents, Big Green glass eyes with lids, a realistic nose and natural paws with claws. 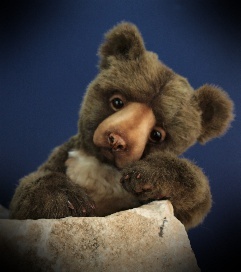 Heartly is such a sweet little Bear. 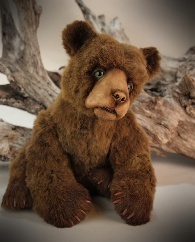 He is 16" tall made from 1 1/2" Dark Brown custom dyed Kid Mohair with a white chest. 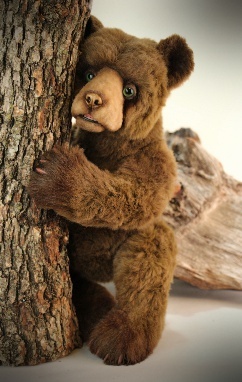 He has natural paws, claws and a realistic resin nose, a fur muzzle, big Green Glass eyes, wire in his ears and armature in his Legs, back and neck for easy posing. 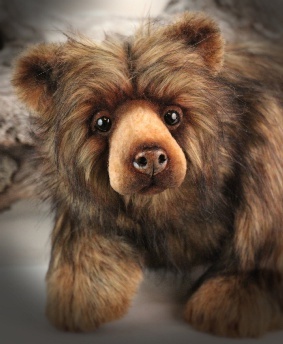 Machk, means "Bear" in Alqonquin, is a sweet Brown Bear, he is 11" tall and 17" long, Machk is made from a very Beautiful European fur, multi colored browns, very long and thick with long Black guard hairs. 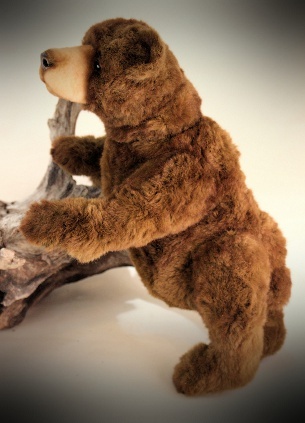 He has armature in his legs, & a double neck joint for lots of easy posing. 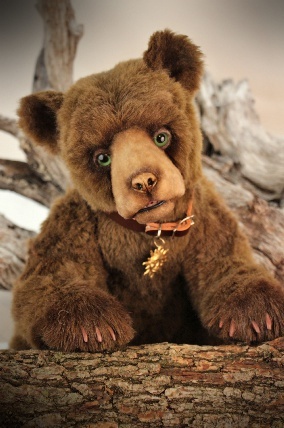 Machk has a needle felted muzzle with air brushed accents, Big Brown glass eyes with lids, a realistic nose, natural paws with claws. 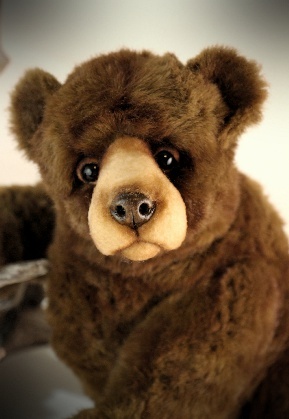 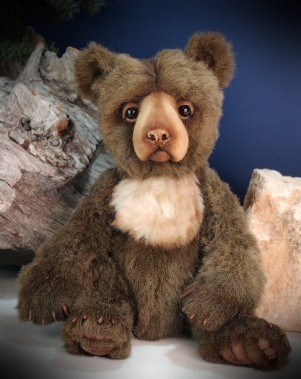 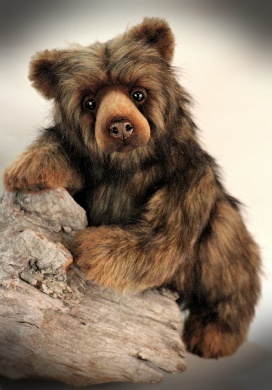 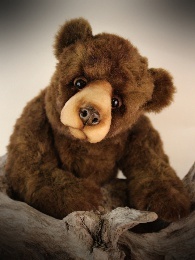 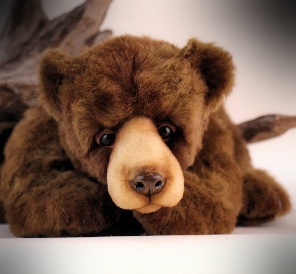 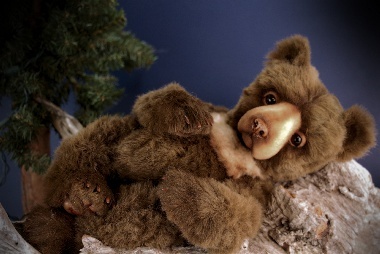 Parker is a little Brown Bear, he is 12" tall, made from a 3/4" Milk Chocolate colored French Tissavel. 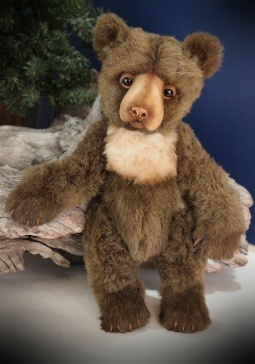 Parker has armature in his arms, legs, back & neck for lots of easy posing. 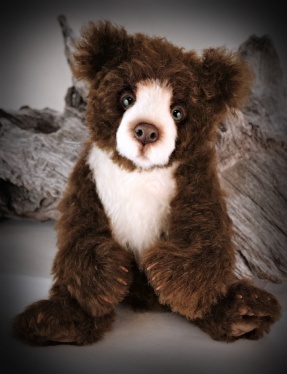 He has a needle felted muzzle with air brushed accents, Big Dark glass eyes, a realistic nose, natural paws with claws and a cream chest inset.